This is a repost from last year, but I just have to show it again because Christmas has always been connected to Lego in my childhood and now we’ve basically come full circle and combined it with space exploration. 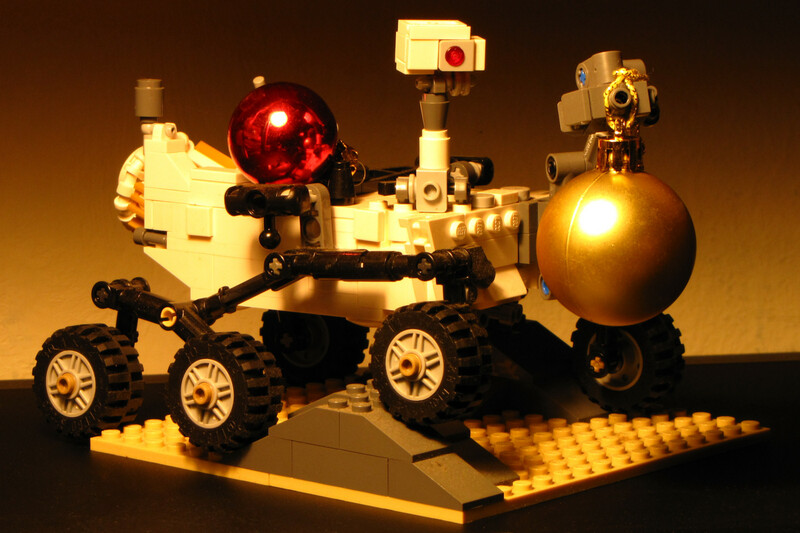 It’s, of course, my Lego Curiosity Mars Rover with a bit of decoration and appropriate colour timing. It is still the only Lego set I’ve bought as an adult when I got it in early 2014, but due to some rather sad circumstances this year I unearthed all my childhood Lego from the cellar, so there might be more of that coming soon… Let’s also not forget that the original Curiosity is still busy at work more than four years after it had arrived and even though it has a few age-related problems, it’s still doing well!